Balloons are a classic choice for party decor. 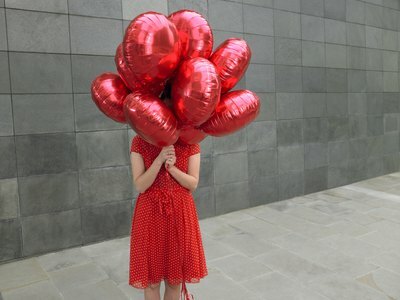 But the sight of half-deflated, withered balloon bouquets can be a drag. With a little planning---and some careful timing---your balloons can look fresh as long as you need them to. Balloons come in two main varieties: rubbery balloons made of a substance called latex, and foil balloons made with Mylar. Latex balloons, which are more porous, allow air to escape faster, and therefore don't stay inflated as long as Mylar balloons do. 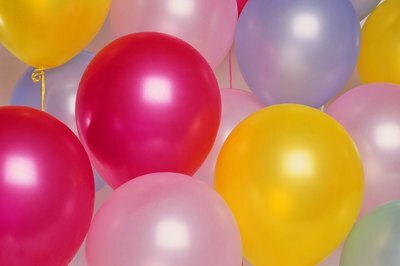 Balloons can be filled with either air or helium. 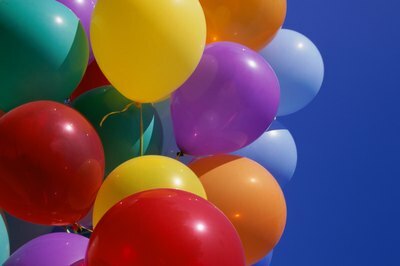 Helium has smaller molecules than air---that's what allows it to float---and the smaller molecules are released from the balloon faster, causing the balloon to deflate more rapidly than an air-filled balloon would. Though many factors can influence the inflation time of a balloon, The Fun Ones, a party rental company in Chicago, estimates that an 11-inch latex balloon inflated with helium will remain in the air for 18 to 24 hours. An 18-inch foil balloon filled with helium, the company says, could stay up for three weeks. 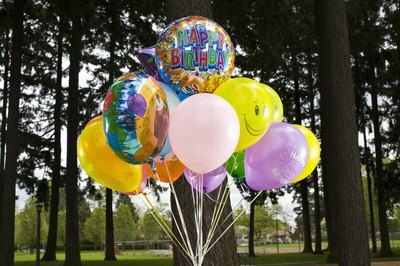 Air-filled balloons can retain air for much longer, often remaining inflated for weeks or months. Size plays a major role in the inflation time of a balloon. A 16-inch helium-filled latex balloon can remain filled for up to 30 hours, while a 9-inch balloon can stay afloat for approximately 8 hours. The quality of the latex balloons also plays a role. The higher quality they are, the less air the balloons allow to escape and the longer they remain full. The temperature and humidity on the day of an event can also affect balloon inflation. Cold weather particularly can cause molecules to shrink and make balloons smaller, while hot weather can speed up molecule movement and cause air to escape from balloons more quickly. To help prevent your helium-filled latex balloons from falling, you can treat the inside of them with a material called Hi-Float before inflating them. 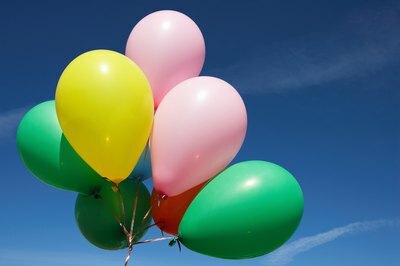 Hi-Float coats the inside of balloons to prevent air from escaping and can increase float time by one or two days. In addition, buy the highest-quality latex balloons you can find, and avoid under-filling them. The less air they have to begin with, the more quickly they will wilt. Tie a tight knot in the inflated balloons to prevent any extra air from escaping. If the weather is going to be particularly hot and humid, opt for larger balloons with a longer float time to make up the difference. If you'll be using balloons for an event, use conservative estimates for their inflation time, and wait as long as possible before the start of the event before inflating the balloons. That way, you'll be sure not to have droopy decorations at the end of the party.